For a limited time only US Jewelry Factory is offering a 50% or more discount on earrings. Click link to save. Free shipping when you order two or more rings from usjewelryfactory.com. 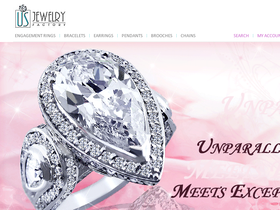 Act now for a great selection of discounted jewelry from USjewelryfactory.com. Save up to 50% on rings, bracelts, earring, pendants and more.